In a recent report by Chase International, which has an office right here at Tahoe Time Plaza, it was announced that real estate in the Lake Tahoe region is in excellent shape for those who seek to invest in our resort community, or other towns in and around the region. The report indicated the price of a home jumped 18 percent from this time last year with a median price of $678,500. Home sales also increased a whopping 27 percent. The figures noted came from Chase International’s review and synopsis of all MLS sales from January 1 through June 30, 2018. Other impressive information was included in their most recent publication Mid-Year Statistics Market Report. We thought we’d share a few of its highlight with you in this first blog for the month of September 2018. Million-dollar homes achieved a 38-percent jump in sales while homes lower than that market price stayed flat. Tahoe City and our hometown of Incline Village saw the biggest increase in the sale of million-dollar homes, up 44 and 46-percent respectively. Incline Village continues to have the highest-priced median-priced home, up seven percent to $1,180,000. Over on the East Shore, home sales under 1 million rose 63 percent. That area also had the largest increase in sales overall. Lake-wide, our real estate sales reflect the market nationwide. According to the National Association of Realtors, the median listing price for homes reached an all-time record in June at $299,000. The Chase International report noted that the National Association attributes this jump to the shortage of homes for sale and higher buyer demand that continues to push a home’s market price. 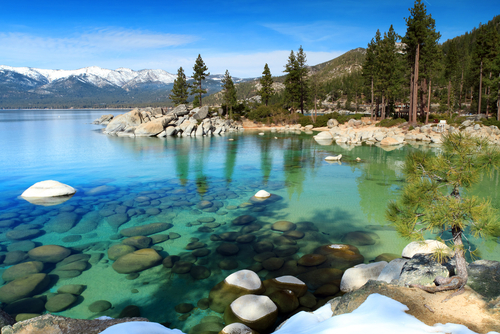 “The Lake Tahoe luxury market has soared with the over-million-dollar market hotter than it has been in years,” said Susan Lowe, Chase International senior vice president. Our California neighbors in Truckee noted a ten-percent rise in its median home price of $737,500 with an impressive 49 percent increase in homes over one-million dollars. For a complete recap of Mid-Term Real Estate sales in Lake Tahoe and Truckee, view their on-line publication. For personal assistance, we encourage you to contact Chase International’s office by visiting their website or feel free to stop by our office building on Tahoe’s North Shore in Incline Village, NV.